Cape Town - bhas his sights set on being "better next year" and the threat of Max Verstappen is making him aware that he has to "raise the game to another level". Hamilton became a four-time World Champion in Mexico with a P9 finish enough to seal the title, but the race itself was won by the Red Bull's Verstappen, his second success in four races. “I want to be better next year,” Hamilton told Motorsport.com. “The challenge is going to be even bigger from Ferrari and Red Bull next year. Formula 1 doesn’t sleep. It doesn’t stand still. “There is always someone there waiting to take my position. I’ve got Max sitting there waiting to take it. I’ve got to raise the game another level in order to stay ahead of him and that motivates me. 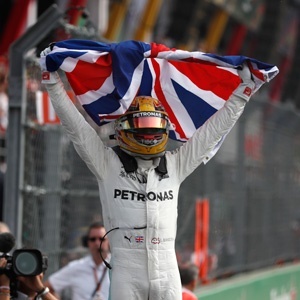 Hamilton is preparing to sign a new, 'enhanced' deal at Mercedes, with his current contract expiring at the end of next season.